Vision problems are among the most common problems associated with acquired brain injuries. Causes of brain injury can include trauma, auto accidents, suffocation, drug reaction and strokes. Initially symptoms may be subtle but often become more of a concern with time. Specific problems can include poor memory, disorientation, loss of reading skills or poor word recall. Click for a recent article from England. Dr. Mayer treats visual problems of people with strokes, head injuries and other major disorders. 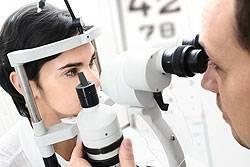 Treatment and results include knowing where straight ahead is, knowing where things really are located, correction of double vision and the ability to have a person’s eyes land on the right spot when reading or looking around the environment. This contributes to balancing problems. If you or a loved one has had a stroke or head injury, you need this type of evaluation and treatment to improve recovery and perhaps even drive again. People who have sustained head injuries, strokes or other neurological impairments often find that their vision has been affected as a result. Dr. Mayer has received special training in neuro-optometric rehabilitation and treatment. The following information may be a first step in determining if visual difficulties are interfering with the rehabilitation progress. After a neurological impairment such as a stroke or TBI, disorders of vision can also occur which cause shifts in concept of a person’s midline. This can cause the person to shift their body laterally or in other ways which affect balance, posture and gait. This shift in visual midline has been termed the Visual Midline Shift Syndrome. Yoked prism glasses are utilized therapeutically to alter the visual midline concept of a person who has suffered a neuro-motor imbalance as a result of a cerebral vascular accident, traumatic brain injury, or who has had a physical disability from multiple sclerosis or cerebral palsy to name several causes. 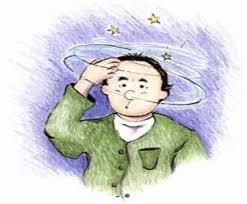 Persons who have a hemiparesis or hemiplegia will have a shift in their concept of their visual midline usually away from their effected side. These shifts in midline can also occur anteriorally or posteriorally. When the visual midline shifts, it causes the person to unconsciously think that their body center is shifted in the direction of their midline. In turn, the person will lean toward the midline shift and essentially reinforce their own hemiparesis or hemiplegia. The visual midline shift has been documented in literature and neuro-motor problems affecting posture and balance have also been written extensively about in journals of rehabilitation regarding physical and occupational therapy. Through the use of yoked prism glasses, the visual midline can be shifted to increase the person’s ability to transfer weight over to the affected side. Yoked prism lenses have been used effectively through neuro-optometric rehabilitation in hospitals and rehabilitation programs throughout the United States. When a person has a visual midline shift, physical therapy will frequently plateau and reach a limit if the visual midline is not effected through the use of medically necessary yoked prism lenses. These yoked prism lenses are therapeutic and are not compensatory in nature. The purpose of these special prisms are to shift the visual midline thereby enhancing the effect of the physical and occupation therapy. It has been determined that the potential for physical and occupation therapy can be increased and reached more quickly when incorporated with the use of yoked prisms.